I love the white sleeve. I'm debating ordering some mdpc-x sleeve too... trying to nail down 100% what color scheme I'm gonna go for. oh well, Its well worth it... I just need to fall off my wallet. I wouldn't do white again. In certain lighting I can see the yellow wires beneath. Another clean build lowfat, white isnt my thing but it does look stunning. Lowfat makes me cut myself at night for being lazy. 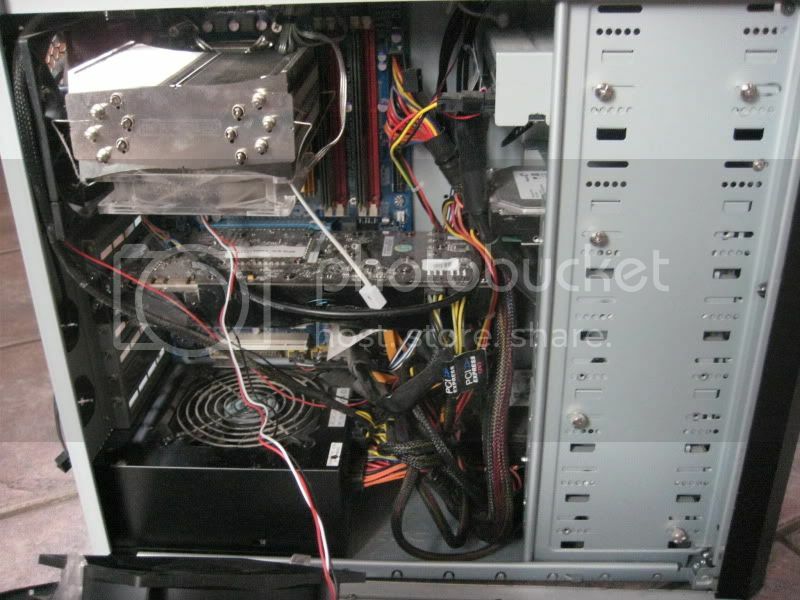 Looking to sell this off, but meh first build , note i have a modular PSU: THIS SORT OF MESS IS UNACCEPTABLE. you think thats bad you should see my case. i cant even put the panel on. i will upload a pic on sat. it will bring me shame to show it.